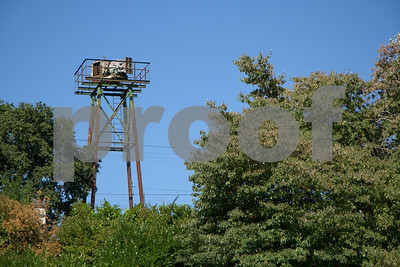 This Chrysler Air Raid Siren was installed on Phinney Ridge in 1953 to warn the surrounding neighborhoods of a nuclear attack. 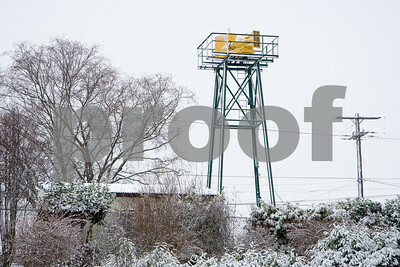 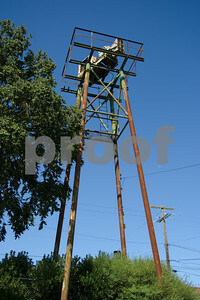 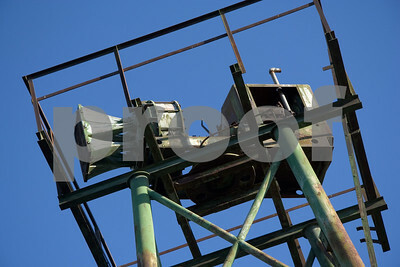 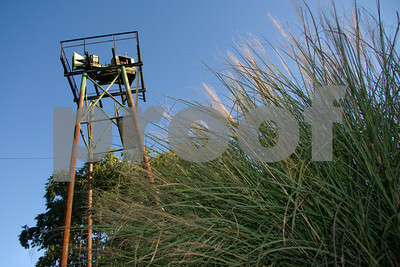 According to victorysiren.com, during the Cold War era Seattle once had 21 air raid sirens which were tested weekly. 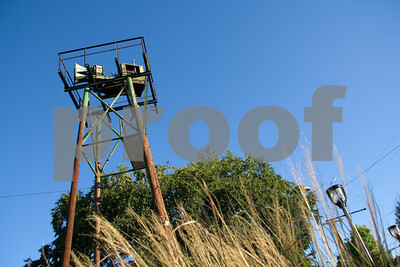 During these tests, the siren's haunting wail of doom could be heard for miles in all directions as it rotated on top of its tower. 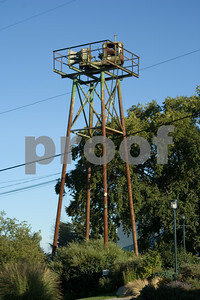 The air raid siren is now a non-functioning neighborhood relic. 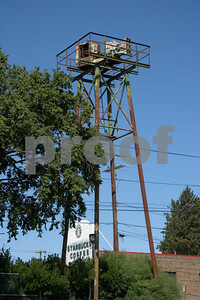 Most sirens of this type across America were removed and dismantled years ago, so it's remarkable that this siren still exists at its original location. 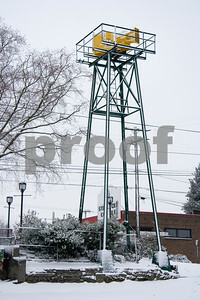 The Phinney Neighborhood Association gave a fresh coat of paint to this siren and tower in 2006, but did not attempt to make the siren work again. 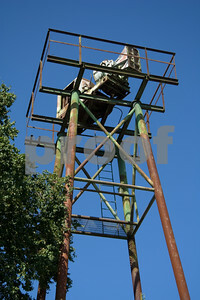 There used to be a platform on top of the tower, but it was removed before repainting. 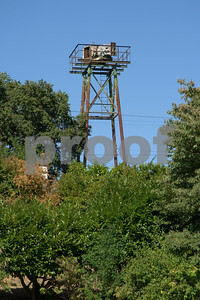 With the platform gone it's easier than ever to clearly see the old Cold War siren from the street. 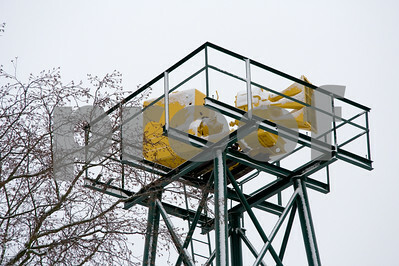 While most of these photos are from before the repainting, the last few were taken after the new paint job was complete. 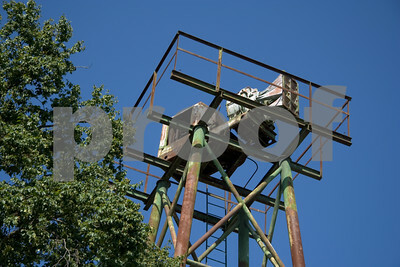 You can find more information about the Chrysler Air Raid Siren at victorysiren.com, where you can read about its history and listen to recordings of similar air raid sirens.